Do you switch your haircare regimen in winter? 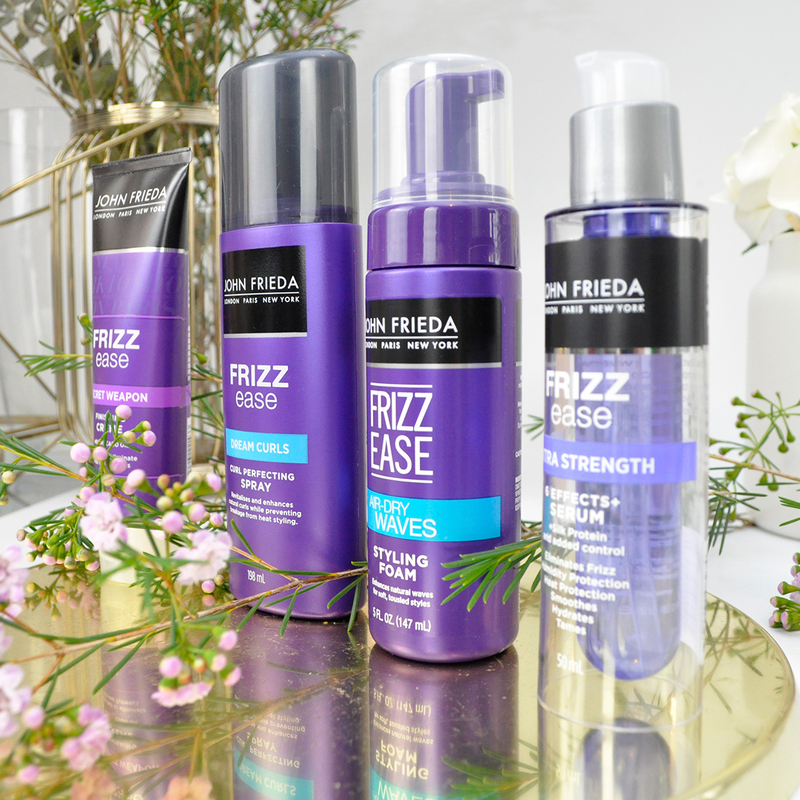 I find as the weather changes so does my hair, it becomes more prone to dryness and frizz and requires special care. I have been using a handful of products designed to keep my hair healthy and stylish this season. 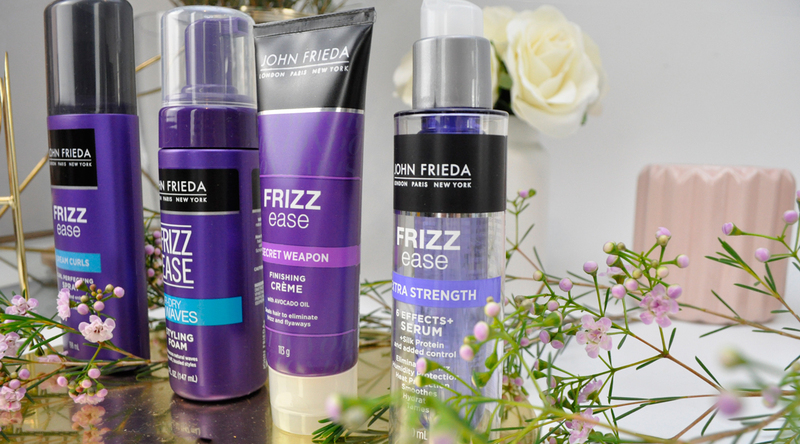 John Frieda’s frizz ease selection never disappoints, their products always give me remarkable results, leaving my hair smooth and manageable. 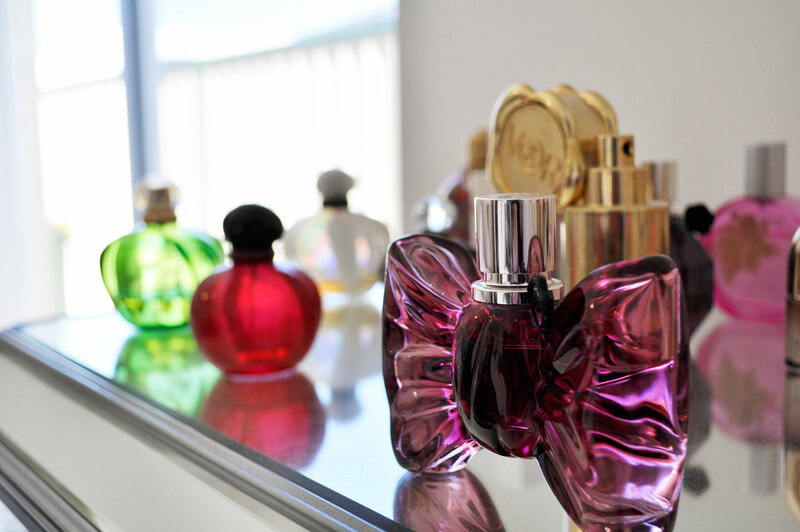 I enjoy their lovely scent, convenient packaging, and you definitely get a lot of bang for your buck! Let’s take a look at some of my current haircare favourites. 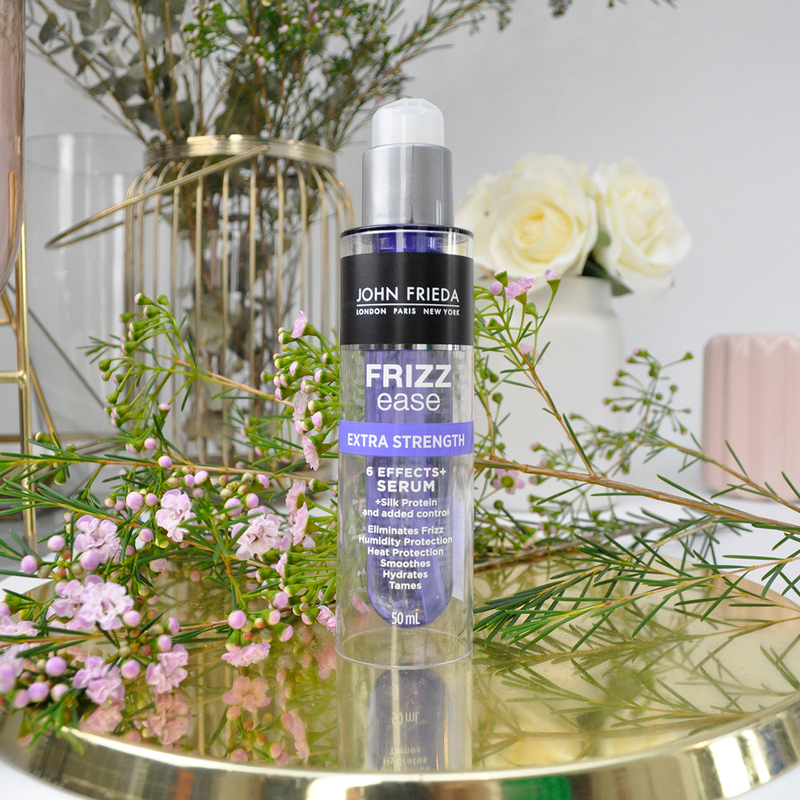 Sold every 2 minutes in Australia, this serum eliminates chronic frizz and blocks humidity for manageable silky lustrous hair. Formulated with a unique blend of silk proteins and algae extract to hydrate dry strands and protect them from humidity and frizz. How to use: Apply to very wet hair (avoid the roots). Sparingly dispensing a few drops of serum into palm. Rub hands together and distribute evenly throughout hair. Style as desired! 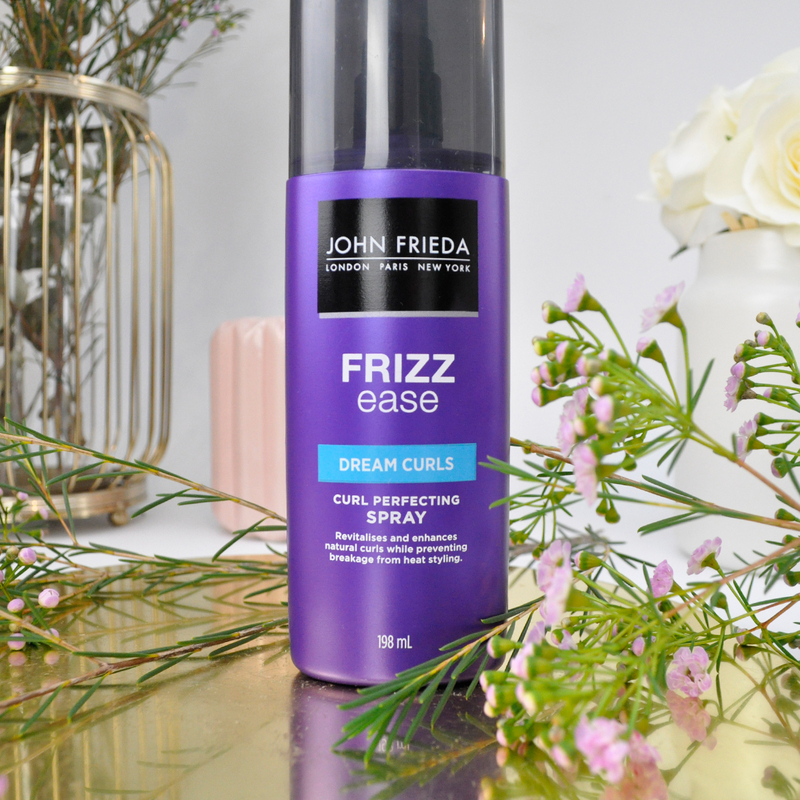 Infused with conditioning and glossing agents, this spray gives me voluminous flowing soft curls for a healthy-looking shine. The magnesium-enriched formula penetrates hair fibres to restore elasticity and encourage natural curls. How to use: Shake well. Spray liberally on damp hair and distribute evenly. To create definition, scrunch small sections and air dry hair or blow-dry using a diffuser. This quick-drying non-sticky lightweight styling foam enhances natural curls as the hair dries naturally. It gives me beautiful defined soft waves whilst adding a healthy looking shine. How to uses: Dispense foam in palms and spread through wet hair, apply evenly from root to tip. Scrunch hair to enhance waves. This versatile finishing cream has become a staple in my handbag. It locks in moisture and corrects imperfections. I use it to touch up dry strands, flyaways, static frizz and split ends. How to use: Rub a drop of cream into hands and pull through styled or natural hair, concentrating on ends. 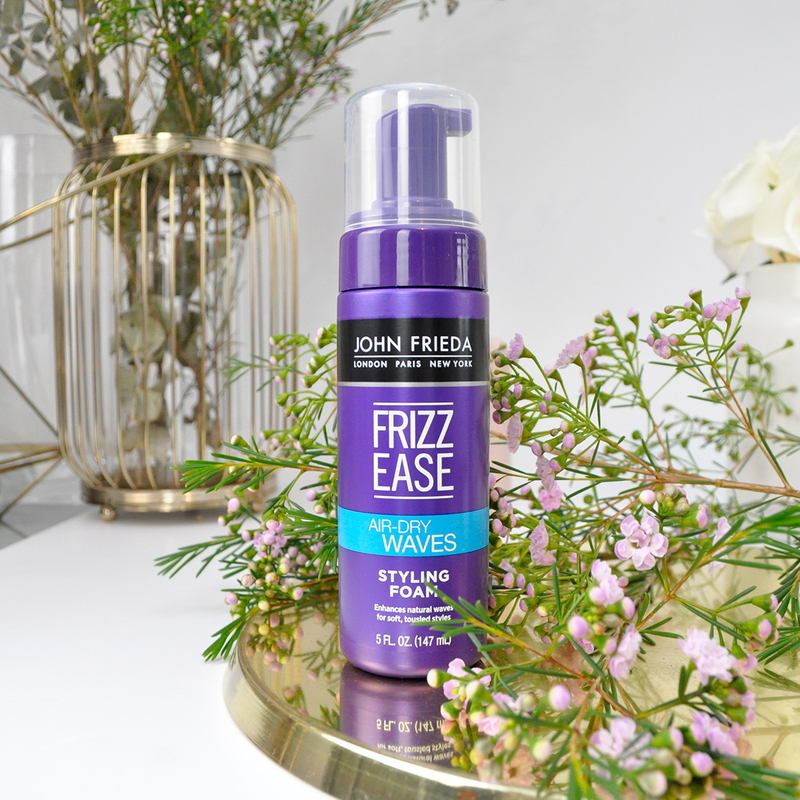 What products do you use to eliminate frizz? Let me know your thoughts down below! This range looks great especially the foam. 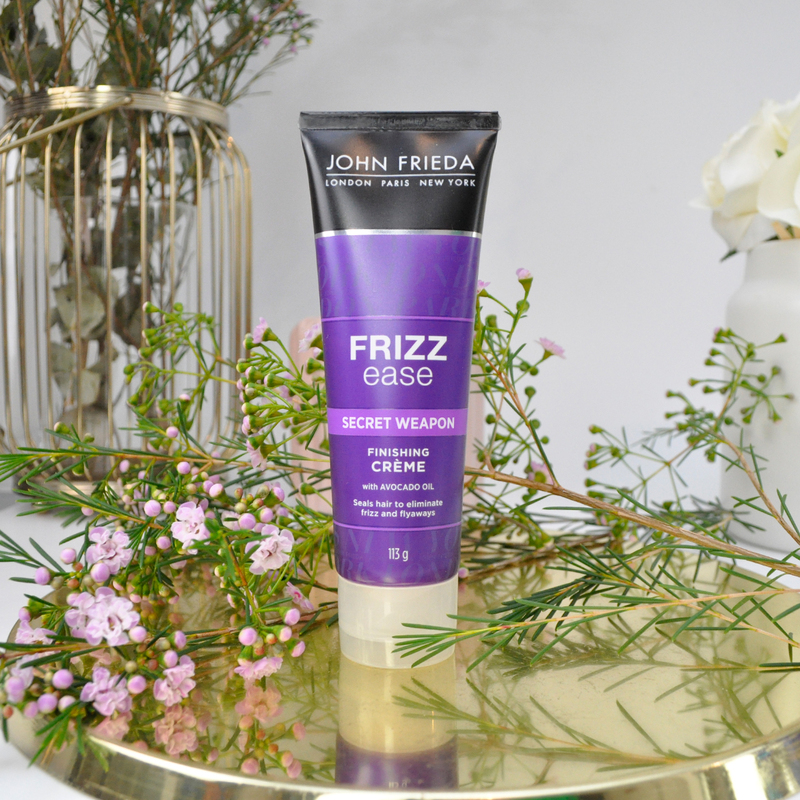 This John Frieda Frizz Ease range of hair care is one of my favourites! It’s so effective! I am always impressed with this line of products. I love to use oils in my hair – argan, Moroccanoil, and even the Frizz ease range .They help with my curly frizzy hair. They can definitely help fix bad hair days. I like this range, especially the air dry waves foam. It’s the ultimate lazy girls hair product! I know, right? It is so good! I love this serum! So helpful with my fluffy mess. This whole line looks really nice! I need to check out the styling foam! You should give it a try, it’s awesome! I hope their products are inexpensive in the states. I love styling my hair with the air dry waves, it’s easy to use and effortless. I agree, great quality products and affordable!